Wide crops are roomy from thigh to hem and fitted on the hips and waist. The roomy fit on the leg varies from silhouette to silhouette. Some are gently A-line, and others a lot more voluminous. Wide crops are also known as culottes and gauchos, come in all sorts of fabrics, and are relatively structured. Lengths vary from just below the knee to a couple of inches above the ankle bone. Generally, I like these at least three inches above the ankle bone to offset some of the leg volume. Today’s outfit formula is about denim wide crops across any wash. It’s predictable to pair wide crops with heels because leg volume lends itself to wanting to lengthen the leg line in some way — and heels are an easy way to do that. But flats up to an inch in heel height are usually a more comfortable footwear choice, and these days a very trendy one too. There are multiple ways to lengthen the leg line when pairing wide crops with flats, which I’ll examine with some visual examples. There is no need to feel dumpy, stumpy and flat-footed in wide crops and flats if you style them in a deliberate way. The most effective way to lengthen the leg line when wearing flats is to lengthen bottoms from the hem and hips upwards. That means shortening the crops a little more than two inches above ankle bone (three inches is fine), and showcasing the waistband by wearing a short top, or semi-tucking and fully tucking a regular length top. Here the model is wearing a tucked top, which shortens the torso and thereby lengthens the leg line. 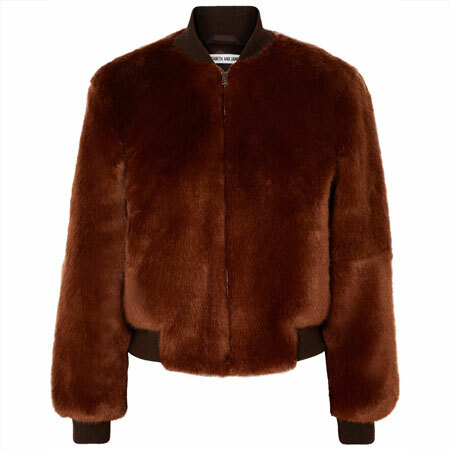 The cropped jacket further accentuates the length of the leg line by drawing the eye upward from its hem. Pointy toes do a great job of elongating the lower leg line without wearing heels. Don’t worry if you don’t like tucking and semi-tucking tops. Wear a fitted top in a regular length to offset the volume of the wide crops. To lengthen the leg line, keep the top low contrast to the bottoms, which the model is NOT doing here, but you get the idea. If her top was dark like the bottoms, the visual effect would be more vertical. Make sure the crops aren’t too long either. Throw in a pair of low-contrast high-vamped shoes like oxfords, loafers or sneakers to lengthen the lower leg line. This is a great version for those who are short-waisted, or don’t like to tuck tops. These wide crops are shorter, which tempers the volume and adds structure right away. They’re more streamlined in the leg, which adds further structure. 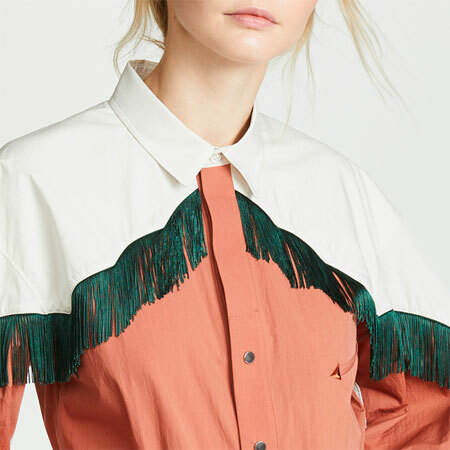 An oversized shirt is structured with a semi-tuck, which in turn lengthens the leg line by shortening the waist. Open footwear like sandals adds further structure because showing skin adds structure. Combining wide crops with a voluminous top is an acquired taste because the outfit is quite unstructured, which makes you look wider than your natural shape. That said, it’s just-structured-enough because there is subtle structure in the right places. First, the shorter wide crops offset their volume. Second, the diagonal hem of the top offsets the horizontally cutting line that would have been created with a straight hem, which in turn creates some vertical integrity. Third, open footwear like sandals add further structure. I LOVE my denim wide crops. I’ve only had them for three years and I only wear them in Summer because the denim is thin. I recently wore a version of the first look here by combining wardrobe golden oldies. The short top and topper do a great job of lengthening the leg line from the hips up. The low-contrast flat loafers lengthen the lower leg. Here are the exact items of the outfit from my wardrobe. Number 2 is my favorite and the one I would try. I like #1, gorgeous look. The first look is the one I usually use with my wide legged crops. I notice that you suggest that the culottes or pants be hemmed 2 to 3 inches above the ankle bone. I have some work to do. Hmm, my eye has not adjusted to these yet but I do like the looks you show. I could probably do #1 the easiest but I also like #4, even though it is probably the least flattering. Maybe if I find some super cheap crops like these it would be worth trying. This is a look I can’t imagine wearing, because I don’t fit at all flattering on me, although I do believe in never say never. However, I LOVE the proportion/silhouette analysis that goes along with these ensembles you post Angie. I always learn great things that I find very useful in putting together other types of outfits. I love your examples here, especially 1,2, and 3 and can use them as inspiration for outfits with other silhouettes. I own a pair of raw hemmed wide leg light denim crops that I wear styled like #1 & 2. My favorite shoe to wear with them is a block heeled neutral sandal. Ha ha, I “own” the #3 look! Wide leg crops are such a good look for me. Plus, I live in the south, so shorter pants are generally a better choice. This type of outfit gives you almost the ease of jeans and a tee shirt, but looks more styled. Looks #2 and #4 would be the hardest for me to embrace, while #1 is Fab, we can only wear jackets a few weeks out of the year. I love this look. Pretty much all 4 of them, although #1 is dynamite (I can see #2 being more of a natural to me, since even semi-tucking is asking a lot of me). I have been on the hunt for wide-legged cropped jeans or chambray pants for a while but I have decided to wait until my return to the States next month, because I obviously need petite. The regular versions’ waistbands practically go up to my chin. Hmmm. I am *such* a late adopter. Check back with me in a year or so. These instructive posts are the best! I am not a wide-leg denim wearer, but I really like the look. (Off topic, but take a close look at the sandals on the model in the last example, #4. The gaping!! If that isn’t a classic example of a low-volume foot in a high-volume sandal, I don’t know what is!). I love all of these, but have been afraid to try wide crops, thinking that with being 1-2 sizes larger on bottom, it would be too much volume for my lower half. 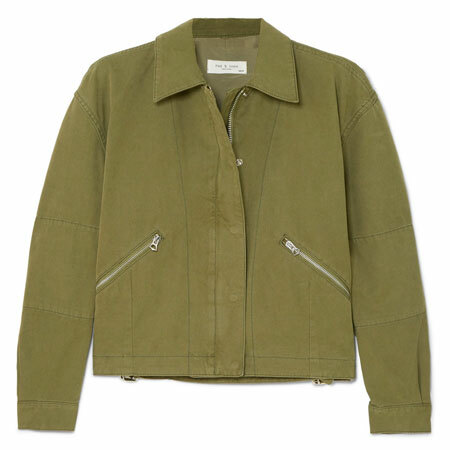 I bought the jacket in #1 (thanks for that top pick! ), though, so this is inspiring me. I find these kinds of pants challenging and, at best, JFE on me, so I won’t invest heavily in this look and need to style it carefully. I have found a couple of top solutions that work — either cropped or loosely tied at the waist, or fitted. I prefer wearing something of a heel with the culottes I got recently, but I can work with other footwear if I find the right balance. I do like a bit more substantial shoe, like my platform slides, with them, but I’m not sure about sneakers. And on the other hand, if the shoes are too delicate or insubstantial, I don’t find the effect flattering either. It’s tricky! 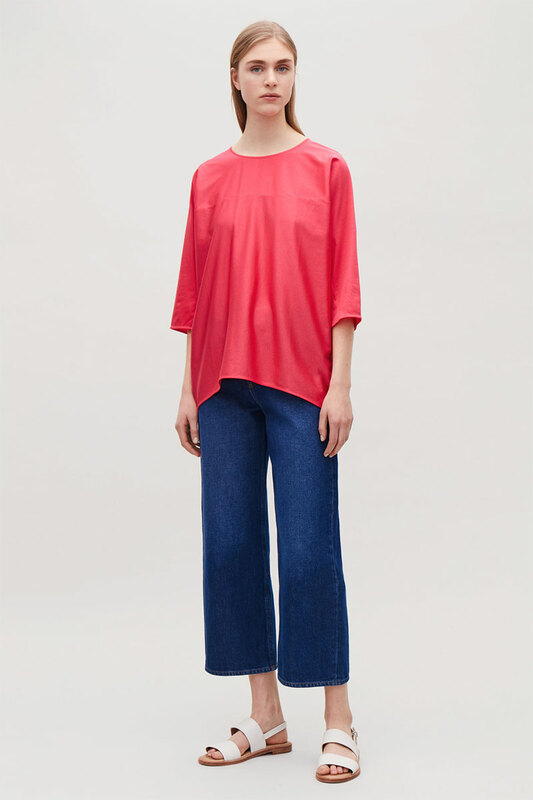 I don’t have any wide cropped jeans, but perhaps I will try some of these with my linen culottes or crop flare denim…. I love culottes but I have found trying to pair them with flats to be a very tricky look to feel good in. I’m game to try again. Love my Gap wide crops and have discovered through trial and error what works and what doesn’t.Glad to have the Angie seal of approval on wearing them with flats.The only look I don’t love is the last one,too sloppy an effect for me. Glad you like the look, ladies. My faves are #1 and #3. RobinF, I bet you’d look great in culottes. Chris987, of course you can wear culottes! I can help you with fit and proportions, if you like? (Thanks for the kind words). Kim, exactly. Nice to hear you’ve mastered the outfit formula. Suz, YAY. I’m excited to see what you come up with. You rock your denim culottes. Murph11, your faves are my faves. And GOOD JOB keeping an open mind. Funny how our eyes adjust to fashion after a while. Lesley, hope you find just the right pair. Becky, you crack me up. Laura, you’d look GREAT in wide crops – but I don’t think we’d get you out of your dresses! And YES, to your observation about the sandal fit in #4. And my feet look worse in regular width sandals. Kathie, don’t give up. I bet you’d look great in the right pair. Janet, you wear this look well, and I appreciate your extra personal styling tips. The more substantial footwear helps you feel grounded in the look. Diana, you MUST get culottes. You have all the right tops. Alecia, perhaps try more of a flat form. Cardiff girl, have we seen your culottes? I’d love to see them on. And #4 is an acquired taste for sure. Love this look! The first example is right up my alley. Loved this! All 4 renditions are worth trying. I have only one pair of wide legs, but they are more casual since they have a released hem, so I am not sure if they would woirk. Great advice! #1 and 3 are my favorites. I am desperate for pants!! I love these pants. I wonder why I don’t have any. 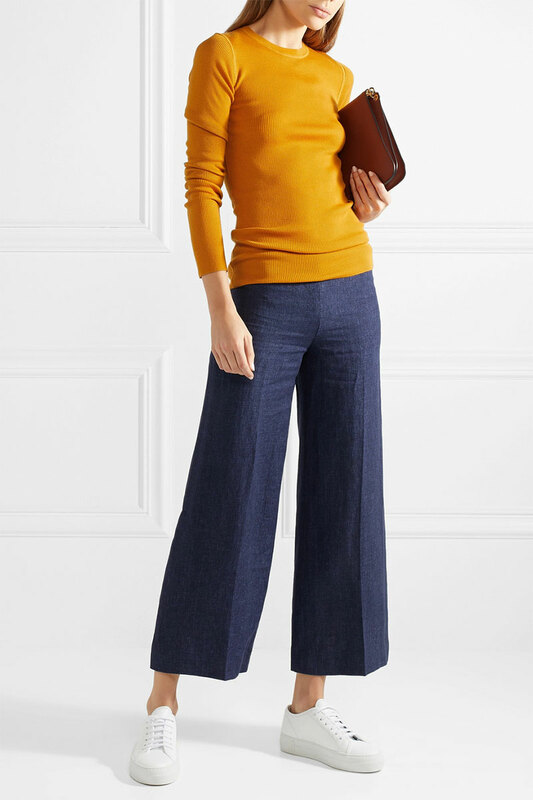 I don’t have cropped wide leg jeans, but do enjoy wearing my cropped flares in summer and #1 with a top tucked in is the best look on me to lengthen my leg line. I usually wear mine with gold open toped booties as my low contrast footwear. I find this look so appealing for summer that I’m willing to look even more short-legged than usual. Cropped jacket and pointy-toed flats. Check and check. Love this look! I don’t have a pair now, but I will try them on if I see the store. I have curvy and kind of muscular calves, so I have to get the length just right — above the fullest part of the calf, and I’d like the denim to be lightweight enough to have a bit of flow. I’m ready for new silhouettes! I have two pairs of wide crops jeans, black and dark blue denim. I like to wear them with a graphic tee and a lightweight shirt jacket or button-down shirt used as a topper over a tee. I usually wear them with my platform sandals. I really like your outfit items and the colors, gray, white, and pale blue, are yummy. I love the look of 1 and 3 but I haven’t even tried on a pair of denim wide leg crops. I really should at least try on a pair. I love each of these looks and would wear them all. Thinking of the last one, I have some wide straight EF silk pants that I am considering hacking to a shorter length. They are silk so drapey rather than structured, wider than the pants in 4. Should I do it? REALLY surprised how many takers there are for this look. Yay! Colette and Jaileen, try a pair of culottes. Beth Ann, I can see you rock the vibe. I vote try a longer length than mid calf. Joy, YES to the hack. April, go for it. You don’t have short legs. Bijou, your outfit sounds fun. Bonnie, you are a pro. Marilyn and Dianna, I hope we see your versions on the forum. Dana, you were made for this silhouette. These are good tips, Angie. I will admit I don’t feel fab in some of my wider-legged cropped jeans or pants. I will have to make a conscious effort to try your suggestions. I find wide crops very tricky to wear. At 5’2″ then can make me look shorter and wider. That said I found a couple of pairs that I can style without a bad effect. The pair shown in photo #3 are very similar to a Kut from the Kloth pair I own. The leg is not too wide so the shorter length is manageable and doesn’t overwhelm me. I recently purchased a pair of Topshop pale pink pin stripe crops that are wide and look fab! I think they work because they are high waisted and give the illusion of longer legs. Thanks for the outfit examples I will use them to create my own looks. #2 is a possibility for me. I don’t mind volume on the bottom but definitely not volume on both top and bottom. I will try, Angie, tough it might take some time, Angie. All my real clothes are already packed, since I am leaving on Sunday, and I just have a pair of barely bootcuts, a pair of leggins, and a pair of yoga pants (I am ashamed to admit it, but that’s the truth) plus few t-shirts and a breton top, fit flops, and sneakers out right now. It’s a look I like! I always wear my wide crops with sandals. I need to branch out. I like the sneakers look. #2 is my favorite and how I wear mine, typically with my summer oxfords, which are made of a thin, almost glove, leather. My newest pair, which are white, I’ll probably also pair with heeled slides. I’m with Chris987 and Becky. I cannot see it would flatter me, I’m wedded to my skinnies, and may be such a late adopter that I’ll be a never adopter! But I do like the pics and your advice! 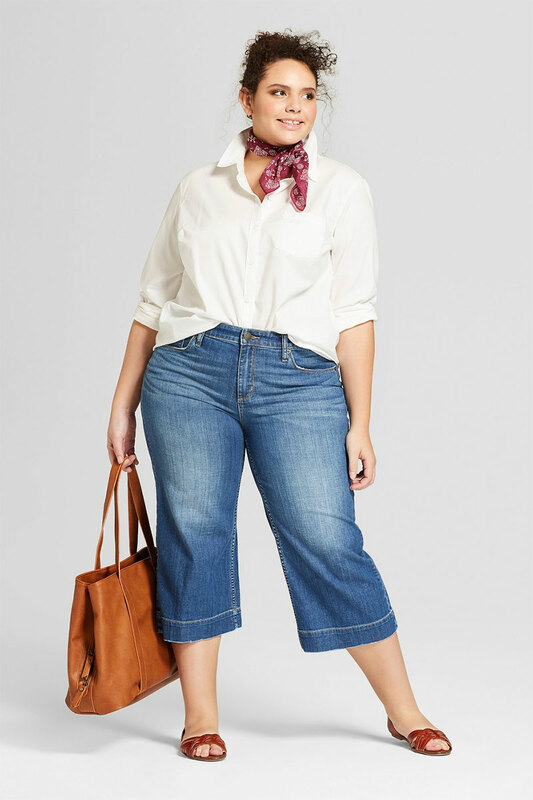 I have been wanting to find some longer wide leg cropped jeans or pants, but I am finding that the latest style includes a higher rise. This doesn’t work as well for me because I am short waisted… I also don’t want too much volume on the leg because I am about 5’4″. Do you have any recommendations in this area? I have had a few people say that the Everlane cropped pants might be ok but the rise looks so high to me! I don’t have a denim pair but I do enjoy wearing versions #1 and #2 with my non-denim culottes. 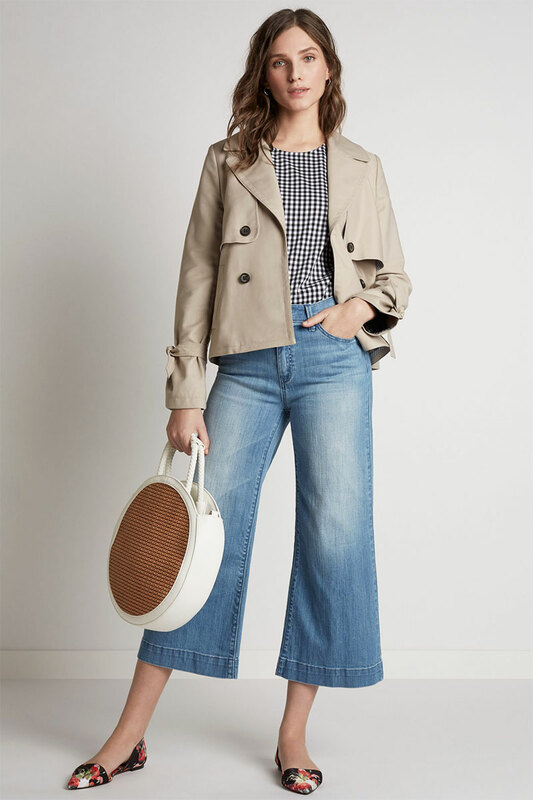 I haven’t been actively seeking out denim wide crops but certainly wouldn’t say no if I came across the right non-blue, or maybe an ultra ultra sun faded blue, denim pair LOVE the look of your version with the tweedy Chanel jacket. Cheeky! I like each of these looks! It won’t surprise you Angie to hear I like the unstructured one best :). Cropped denim flares were on my Gotta Have It list last summer. 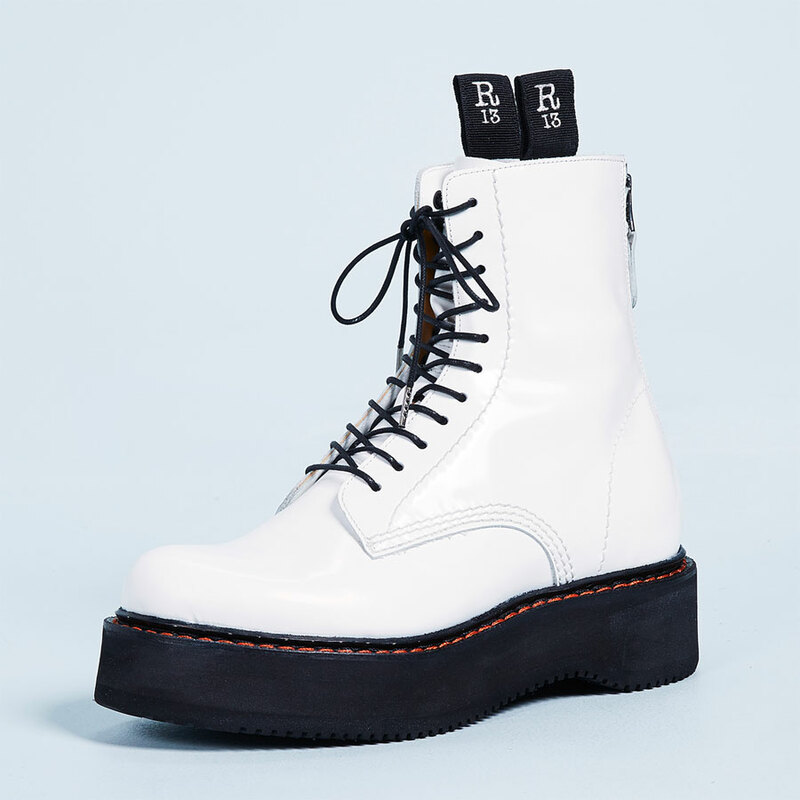 I love wearing them, and your post is giving me fresh styling ideas. This tall girl especially likes the assortment of flats used here! I like the looks here. Perhaps the right pair for me is out there somewhere. I really like the look of #1 and if I get a pair of denim wide legged crops will go that style route. Pointy toe flats and cute jackets are already in my closet. Brenda, have you tried the petite Pilcro at Anthropologie? SOOOO happy to hear your likeness for the look, ladies. Dianna, you’re forgiven because you’re moving Hope the move went well. I am mostly about #1 – pointy is my default. But #3 also works for me. #2 is not my style right now, and #4 is tricky. I love 1 & 3 but mostly need a top similar to #2, bc I never ever tuck, too much bust & too short a waist. I do have several pairs of cropped wide denim or culottes though! I think 2 and 4 would work best on me. I have worn 2 and it worked well (with plaid culottes). I would consider 1 and 3 but semi tucking is a challenge for me and I think I prefer wide leg crops sans jacket/topper…. As a short person I don´t like the look of wide crops on me, but adore them on others. I stick to slim cropped versions or my slightly flared crop jeans. I wish to say thank you for using such beautiful examples of fashion on plus sized women. It´s an nice change to see fashion on a wider variety of body types, even if I am not plus sized.